UK brewer Fuller’s has sold its entire beer business, which includes flagship brand London Pride and the historic Griffin Brewery, to Japanese drinks group Asahi in a deal worth £250 million. The deal, which is expected to be completed in the first half of this year, includes Fuller’s entire brewing operation in addition to its brands Cornish Orchards cider, Dark Star Brewing and Nectar Imports, wine wholesaling enterprise and drinks distribution network. A statement from members of the Fuller’s board added: “Having carefully considered its options for the beer business and Fuller’s existing relationship with Asahi, the Board believes that Asahi is the ideal owner of the beer business and will create the right environment for the beer business to flourish in the future and protect the Fuller’s brewing heritage. “The Board welcomes the fact that Asahi also upholds Fuller’s key values of a genuine commitment to brewing excellence and has a proven track record as a long-term steward of iconic brands making them an ideal strategic partner to the Fuller’s pubs and hotels business in the future”. The sale means that Fuller’s will be solely a pub and hotel operator. This, the company states, is the “core of the business” and generates 87% of its operated profits. The deal will provide “significant capital to accelerate investment in the premium pubs and hotels business both organically and through future acquisitions”. The statement also noted that following the deal, Fuller’s and Asahi would form a “strategic alliance” whereby Asahi acts as a “key supplier” to Fuller’s pubs and hotels. The terms of the deal state that Fuller’s will retain ownership of its trademarks, but Asahi will be granted a licence to use some of them, including the Fuller’s name, logo and cartouche. 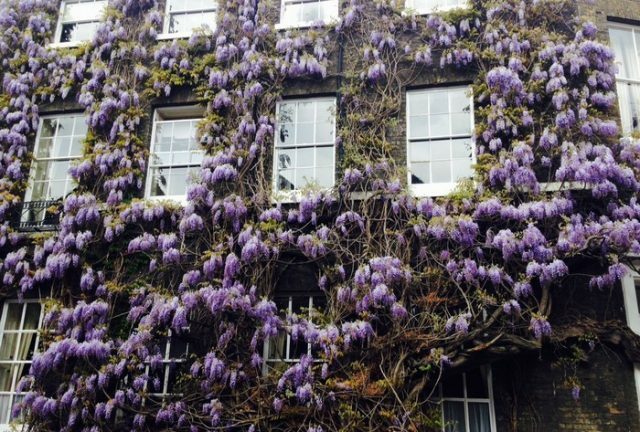 Griffin Brewery’s prized wisteria in bloom, the oldest such plant in England. Between £55 million and £69 million from the net cash proceeds will be distributed to shareholders, with share prices rocketing by as much as 25% this morning following the news. Akiyoshi Koji, CEO of Asahi Group Holdings, Ltd, added: “We have long admired the brewing business and exceptional beer brands that Fuller’s has built over the years and the high degree of respect it commands throughout the global beer industry. Fuller’s is one of the few brewers that show the same genuine commitment to brewing excellence and quality that we do. The statement noted that most current staff members will be kept on following the acquisition, but noted that following the consultation process, “certain employees may not have a role with Asahi”. Redundancy proposals for these employees “will reflect the valued contribution” to the business over the years, the company noted. The news has come as a shock to the trade, and has proved unpopular with many people. Beer writer Roger Protz tweeted that he was “completely dumbfounded” by the news, while fellow writer Melissa Cole added: “Well, that’s a hell of a way to end the week…I’ll be honest and say I did not see this coming and I am extremely conflicted about it”. Commenting on the news this morning, the Campaign for Real Ale chairman, Jackie Parker said: “CAMRA is always concerned about any consolidation in the brewing industry as it could result in a reduction in choice, value for money and quality for beer drinkers. We’re also wary of one company increasingly controlling a larger and larger share of the market, which is seldom beneficial for consumers”. “Fuller‘s has been a family brewer in Britain for more than a hundred years, and it’s a very sad day to see such a well-known, historic and respected name exit the brewing business. While some social media users praised the “major investment to help a company grow both domestically and globally”, others argued that the company’s heritage as a brewer was more important and hoped that both the quality of the beers and operations at its historic Chiswick site would be preserved. Some were less generous, with one social media user writing: “Breathtakingly bad. Really can’t think of an eloquent response to this so will have to settle for sod the lot of you”. Fuller’s, or to give it its full name, Fuller, Smith & Turner plc, was established in 1845. Brewing has taken place at its historic south west London site since the late 1600s, with the Griffin Brewery itself acquiring both its name and emblem in 1816 when it was under the stewardship of brothers Douglas and Henry Thompson. The company’s founding fathers John Bird Fuller, Henry Smith and John Turner gave their names to the business and descendants from the Fuller and Young families still work at the company, the Smith line having died out. 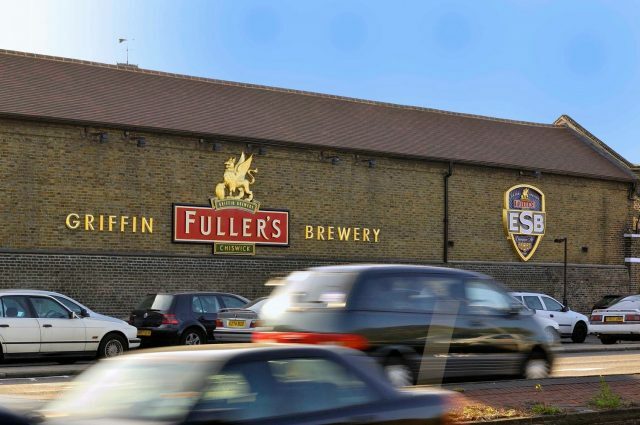 Known for its flagship brews, London Pride, ESB and 1845, Fuller’s has almost 400 tenanted and managed pubs and hotels in an area which stretches from Brighton to Bristol, although around 174 sites are located inside the M25. In October 2016, Asahi completed its £1.3 billion acquisition of Miller Brands UK, giving it control of beer brands Peroni, Grolsch and London’s Meantime. It has operations in the Netherlands, Italy, the UK, France and Canada. The now Tokyo-based drinks group was founded in 1889 when it was called the Osaka Beer Company. It is known for its Asahi Super Dry lager as well as Asahi Draft lager and Asahi Gold brands. Alongside news of the deal, Fuller’s also posted its trading update for the 42 weeks to 19 January 2019. Like for sales at its managed pubs and hotels rose 4.7% over the period and by 2% at tenanted pubs. Its total beer and cider volumes remained the same. Very sad when another family owned business sells out regardless of the fine words concerning the future etc. Appallingly bad deal.The brewery site held since 1845 has been sold for a mess of potage.Asahi say they will continue to brew on the riverside site but as sure as night follows day will sell the the site to a residential developer within a year or two for a very large sum.The developed value of the site within 3 years could be over #1bn.Shareholders get no benefit from this.C.E.O.Simon Emeny should be fired for his incompetence!The Fuller & Turner families have destroyed 7 generations of hard work by their ancestors,Why? Only learned of this sale couple days ago. However, it has been noticed over the last year or so that the taste of both Pride and ESB has diminished to such an extent that I no longer drink them. Nonetheless a terrible rescission and all Fullers fans should desert in droves! The Fullers site is sat on many acres of prime Thameside in one of London’s most desirable areas. The cynic in me sees a massive redevelopment in the near future with little/no brewing taking place on the site. The hopeless romantic in me hopes for business as usual. I’ve been a fan of Fullers beer ever since my dad bought me my first pint on my 18th birthday at the Mawson Arms in 1981. My fingers are well and truly crossed for a bright future.